My name is Patricia Kasody-Coyle. I am a partner/attorney at Jackman & Kasody, PLLC. I am not only a divorce and family law attorney, I am also a divorced parent. My legal knowledge and experience in divorce and other family law issues will give you the peace of mind you need to be assured that your case will be handled in a professional, efficient and skilled manner. I will answer your questions promptly and courteously to ensure you know everything that will happen in your case and what to expect next. I believe knowledge is the key to a successful, rather than stressful, divorce. In addition to my many years of experience in divorce and family law, I also am able to provide a more personal perspective to your case. I have firsthand knowledge about what you are feeling and experiencing regarding the divorce process, custody, parenting time with your children, division of property and support issues. I know what questions you have and can relate to the emotional rollercoaster you are encountering. My divorce was not only a life-changing event for myself and my child, but it also gave me great insight into what others, like yourself, will be experiencing. I can share with you how to make your divorce a less negative and more positive experience as well as teaching you how to make the best of a stressful and emotionally draining situation for you and your children. Divorce can be a nightmare, but with the right attorney who has the knowledge and the tools necessary to navigate you through the process, you, like myself, can end up happier, healthier and at peace with your decisions. Call me and we can start making your life better. Patricia A. Kasody-Coyle graduated from Pennsylvania State University with a B.A. in 1989. 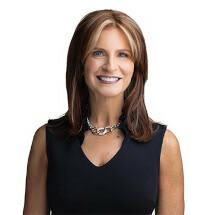 She attended Thomas M. Cooley Law School and graduated with a Juris Doctor in 1992. She possesses an LL.M. in Taxation from Wayne State University. She was admitted to the Michigan bar in 1994. She speaks at a free seminar on the second Tuesday of each month at the Transitions Center at Schoolcraft College in Livonia, Michigan.